It’s best to compare a lineup of interest rates. A guarantee that the lender will deliver a specific combination of interest rate and points if the mortgage closes by a specified date. A point is a fee or rebate equal to 1 percent of the loan amount. Frequently, rate locks last for 30, 45 or 60 days, but they can be shorter or longer. A rate lock protects the borrower from rate fluctuations during the lock period. When locking a mortgage rate, don’t concentrate on the media frenzy or cocktail conversations on whose rate is lower. Focus on the estimated closing date, and time your rate lock with that. To begin, find out when your loan is expected to close and work backward to determine when to lock the rate. If you think you need 45 days to close your loan, find out what the interest rate would be if you locked it for a 60-day period. The longer the lock period, the more the loan will cost you. 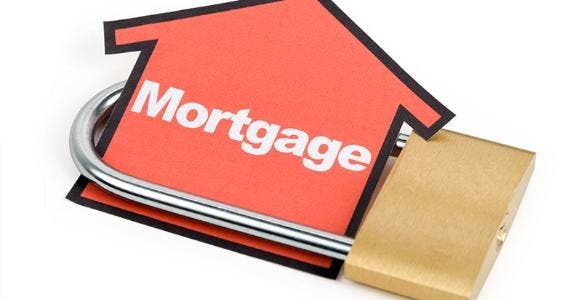 Lenders do not know what the interest rates will be in the near future; they hedge the risk by offering higher rates or charging fees for longer lock periods. Look for the sweet spot when pricing out a rate lock. The sweet spot is the combination of interest rate, term and cost you need to achieve that optimum deal. Most lenders won’t lock you for less than 30 days unless you’re ready to close and often offer the same rate for a 15- and 45-day period. Ask about the rate for several lock periods: 15, 21, 30, 45 or 60 days. Anything longer than 60 days gets pricey, so it might be smarter to wait until you get nearer to the closing and check again. The key is to get your rate on a down day and lock for a term long enough to close the loan. Grab it while you can. Here’s an example: Brian Rubin was visiting Hershey Park with his family when he received an email from me, his mortgage loan officer. The Rubins were buying a four-bedroom, 2,200-square-foot home in Westchester County, New York, and the rates had just dropped. Rubin could lock in at 4.375 percent for 45 days and needed to give the OK. He did via email while strolling with his family. “I was happy with the rate and could now concentrate on other things that were keeping me up like packing, moving and school starting,” he says. If you cannot close by the end of the lock period, most lenders will extend the rate or allow you to relock, but be sure to know how your lender treats it. Learn the process and the costs. Inquire about a lineup of mortgage rates instead of zeroing in on just one. Lenders refer to the array of interest rates as buckets, and often there is disparity among rates depending on a bank’s investors. “Think of the lender buying buckets of money at a certain interest rate and then reselling the money to the consumer,” says Lou Maldonado, an account executive at Plaza Home Mortgage’s New York office. Lenders are able to obtain better pricing on certain rates and should pass it on to the consumer. Ask about a series of interest rates; what will it cost to get a 3.9, 4, 4.25 or 4.375 percent rate locked in for the same period? Paying discount points (one point equals 1 percent of the loan amount) might be worth it if you can get a lower rate. Divide the monthly savings into the cost to find how many months you need to recoup the expense. Compare the interest rates quoted at different prices, and you might be surprised that higher discount points, combined with a lower rate, could cost less overall. Pick a rate that you can be happy with, and when it hits, lock the rate. The key is to be happy with the rate you were able to get and not look back. Jennifer Lerner from Wilmington, Delaware, a second-time homebuyer, was waiting to lock one day. At the time, the rate was 4.25 percent, but her lender thought it could drop a little lower. Is it really worth waiting for the possible drop? Jennifer waited a few days and then locked at a slightly higher rate: “We locked in at 4.375 and we are not looking back!” she says. Who gets Mom’s leftover reverse mortgage?